Every month we receive a lovely food parcel in the box, Degustabox, which is a surprise tasting food box, full of delicious items. We have been working with Degustabox for several months and tried their January Degustabox, February Degustabox, March Degustabox, April Degustabox, May Degustabox, June Degustabox and July Degustabox. Degustabox is a monthly subscription of a surprise tasting box, that arrives at your door with between 9 to 14 surprise food products. This month, there was also a fridge item, a voucher to be redeemed for Moma Bircher Muesli at Sainsbury’s and Waitrose, but unfortunately I couldn’t find the multiplack in any of the shops that I went to. It’s a shame I couldn’t try it, but I didn’t miss out as Degustabox fridge was a bonus item, not included in the value of the box. This month, our Degustabox was another pleasant surprise, with a lovely selection of food and drinks. I’ve made a delicious Pain au Chocolat Bread and Butter Pudding Recipe with some of the contents of the box, and it was a success with the whole family! Brioche Pasquier was one of our favourite products from the box, it didn’t last very long as we all love brioche. There were 8 pain au lait in the pack, made using the finest ingredients to produce a light, airy and moist brioche roll. 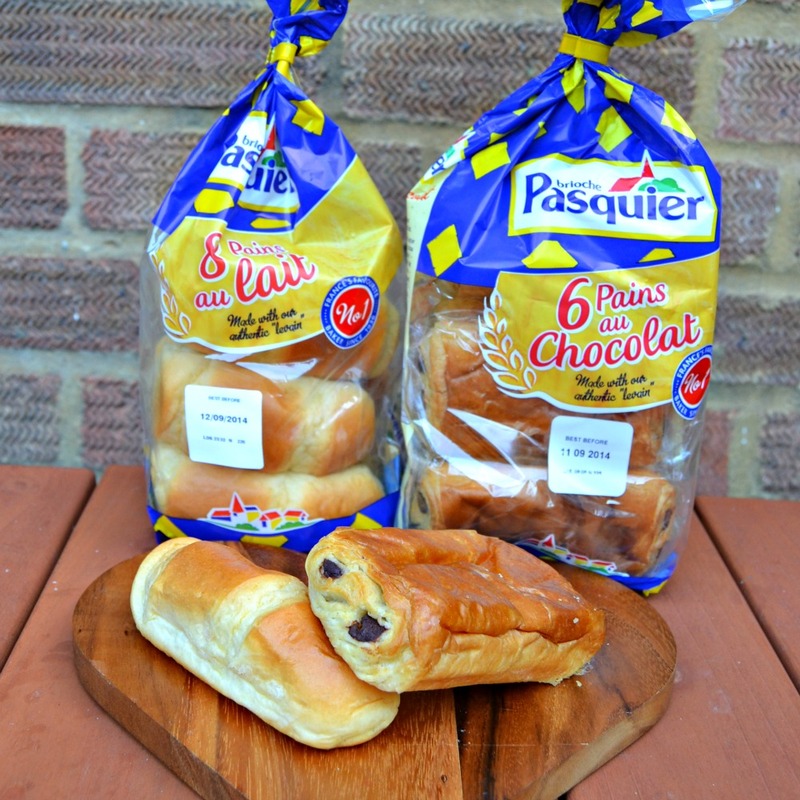 Pain au chocolat come in a pack of 6 individually wrapped, they were delicious on their own and in the bread and butter recipe. They are both simply delicious! This month, there were two different versions of Degustabox, an alcoholic box featuring Caribbean Twist Strawberry Daquiry, a delicious ready to drink Caribbean style cocktail, and a non-alcoholic box featuring Fever Tree soft drinks, we tried ginger beer and tonic water. 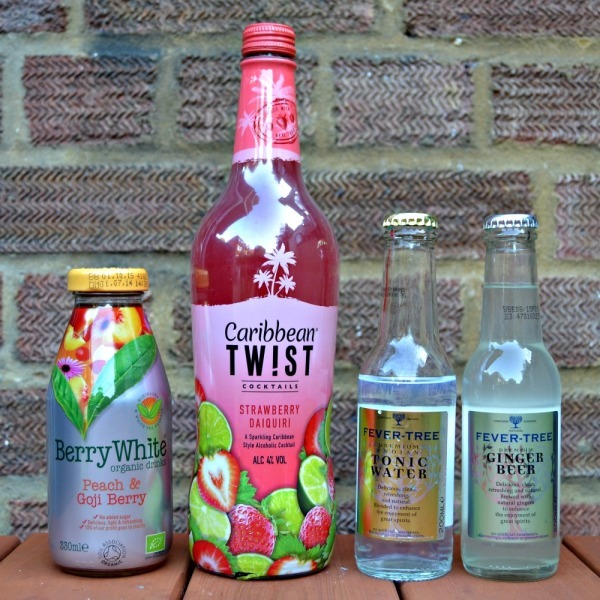 BerryWhite, organic drinks made with superfruits, known fruits and extracts, was present on both boxes. We received a Peach & Goji Berry, it was refreshing and fruity, I was pleased to find out it is made with no added sugar or fruit sugars, and no artificial preservatives. Schwartz Flavour Shots deliver exactly what it says in the pack, a shot of flavour to your meal, by adding a unique blend of herbs, spices and seasoning infused in sunflower oil. We’ve tried Schwartz before, and it is one of our favourite seasonings. 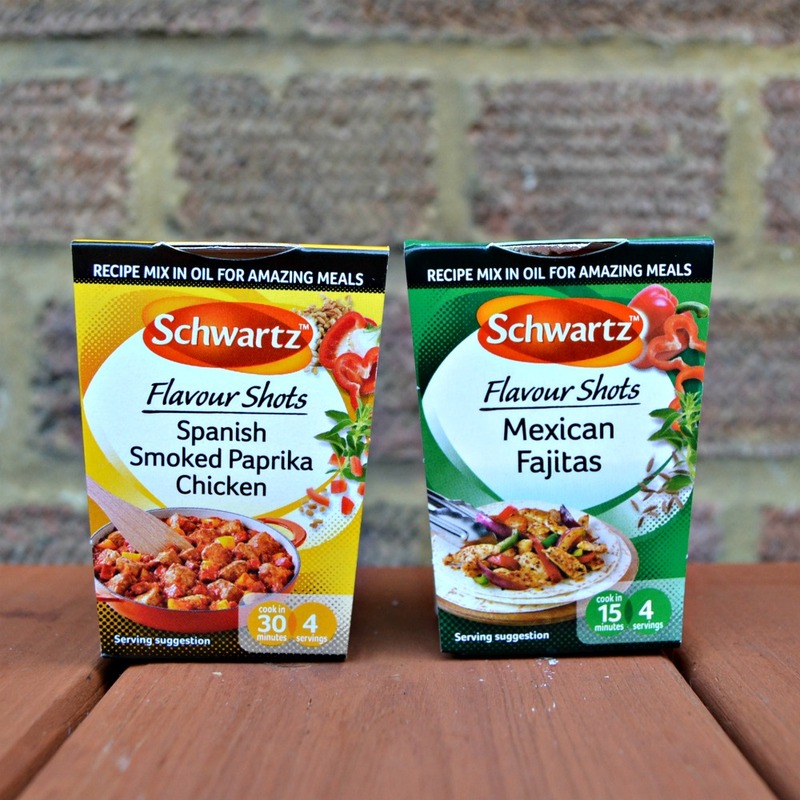 We received Spanish Smoked Paprika Chicken and Mexican Fajitas, they can be easily done by adding the flavour shot to chicken and vegetables. It is ready to serve within a few minutes – perfect for quick mid-week meals. 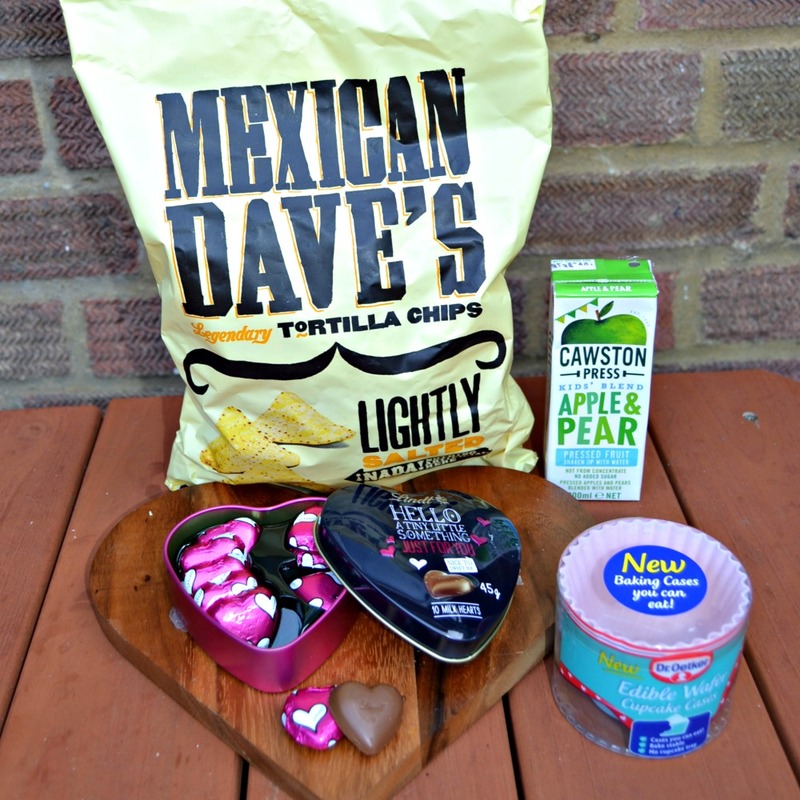 There was also a lovely selection of snacks in the box, including Mexican Dave’s tortilla chips, cooked in sunflower oil. The lightly salted tortilla chips were enjoyed with a glassed of chilled Caribbean Twist Straberry Daquiri, match made in heaven! Little man tried Cawston Press Kids’ Blends apple & pear and really enjoyed it. The carton is perfect for lunchboxes. We love tried the cute Lindt Hello Just for You heart chocolate tin, a sweet heart shaped tin with 10 beautiful Lindt milk chocolate hearts. 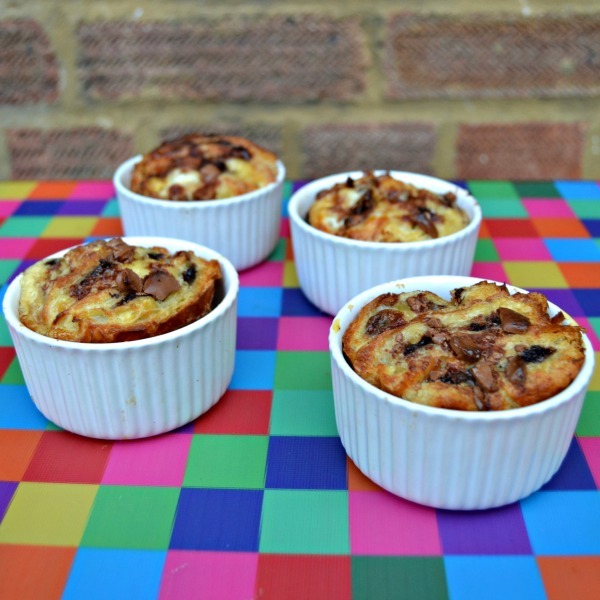 Some of the chocolate hearts were used in the bread and butter pudding, while the remaining were enjoyed as a mid-afternoon treat. Each Degustabox so far had an unexpected item, and this month it was no different. I never knew that edible cases existed. Dr Oetker Edible Wafer Cases are baking cases that can be eaten. Such a great invention! If you haven’t tried Degustabox before, you can use the code GXWT0 to receive a £3.00 discount when registering. The products were received free of charge for review purposes, however the opinions expressed in this post are honest and my own. 2 Responses to "Degustabox August Edition"